So, you’re on Instagram and you’re not getting a lot of likes. You’re not reaching as many users as you would like. You’re not sure what to do until you create your newest post. You’ve got a hit post. People are liking it like crazy and you get the notification from your Instagram Business account, prompting you to promote the post. You’ve never been able to promote anything before on Instagram. Instagram marketing is not easy. 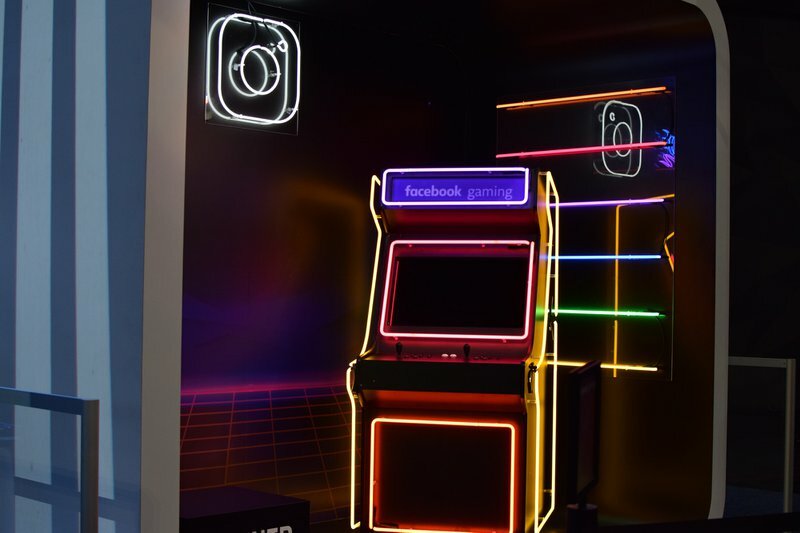 Here are some of the best Instagram marketing tips out there to make sure you can deliver the best content to your audience. Having an Instagram marketing strategy is key to get the brand recognition you are looking for. Here are 5 Instagram posts strategies you can start using today to master your Instagram marketing efforts. What’s your current username? Is your business account’s username the same throughout your social media platforms? Think about your favorite social media account to follow. Whether it is of an influencer, celebrity, or business, there’s a reason why you follow them. Their usernames are often very easy to remember, simple, and to-the-point. This is kind of common sense, but if your username is similar across all platforms, it’ll make it easier for your followers to find you. Who follows these tips? Look no further than the band Zoume, based in Brooklyn, NY. 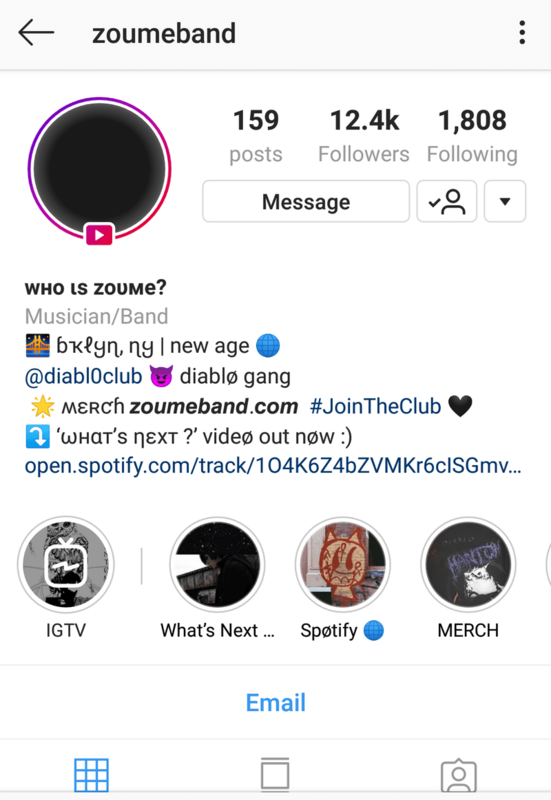 All of Zoume’s social media platforms are simply: ZoumeBand. 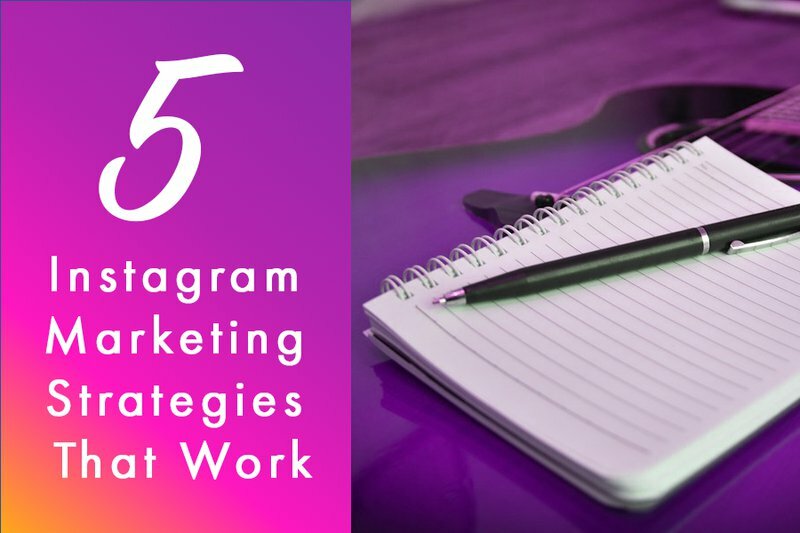 Download Your Instagram Marketing Strategies PDF. Click Here. This is a super easy way for artists of all genres to gain the recognition they deserve. I get it that sometimes you can’t have the same exact username for every platform out there like Zoume does, but the easier you make it for your followers to find you, the more followers you’ll have. While you’re changing your Instagram handle, here’s another way to be sure your followers have their eyes on you. Tell me, what do you have on your Instagram bio? Does it tell what your audience needs to know about you (or your brand)? Well if it doesn’t, here’s where you need to improve your bio. If you followed my first tip, this should be (basically) a continuation. Since it’s one of the only ways for your audience (and potential followers) to know what you’re all about, treat it with care. You should keep it straight-forward so your followers know what they need to about your cause. Think of it as the prologue to a book—what kind of introduction do you want to tell your audience? Stumped on what exactly to write? Take a look at Kat Von D’s cosmetics bio. Her cosmetics bio does a great job at providing all the information you might need to know about her products. This helps make it easier for her audience to find where they can buy her products, whether online or in retail stores. Another thing to consider would be using a tool called Shorby. It’s used to help improve users’ web traffic on Instagram. Do you have a lot of URLs you would like your audience to have easy access to? Well, Shorby will give your viewers the chance to see what’s available from you! Want to know how to get your potential customers’ attention? I recommend you consider using Instagram ads to promote the products/services you’re trying to sell. There’re different kinds of ads to choose from, so you’ll always have options for showcasing your services to your audience! Want to see a great example? Here’s an awesome infographic (and ad explanations) from Filmora—it’s really handy to showcase how each ad is represented. There are different type of ads! The first type of ad is probably what most of you are used to looking at because it’s a photo ad. This is self-explanatory because it is one image of the product/service you’re trying to sell with a caption underneath that (hopefully) explains more about what you’re selling to your audience. Sometimes it’s hard to tell the difference between a regular post from an Instagram user vs. an ad until you look at it closely. Another type of ad you might be familiar with is a "stories ad". It’s a revolutionary thing since you can be more up-to-date on what new and exciting things the business is doing. This can be an easy way to promote your new product/service to your viewers and you’re not limited to photo or video exclusively. Video ads are easily the most engaging on Instagram. 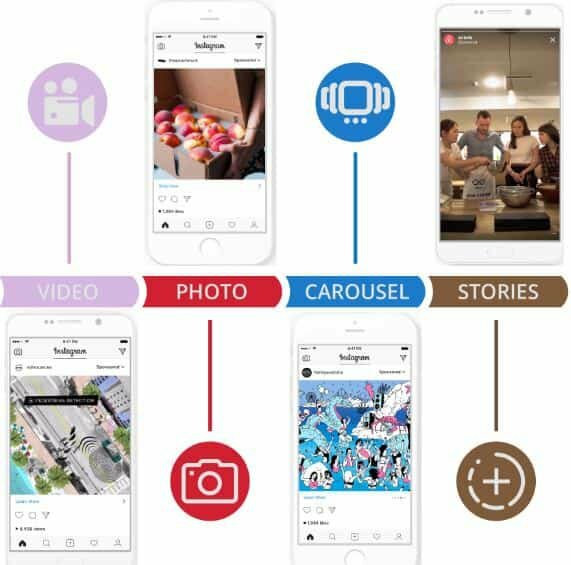 Your viewers won’t just see a single still image, but rather something that could be very interactive and compete even with the top Instagram posts out there. Ever see ads that have multiple images listed? That’s a carousel ad. It’s an ad where you can swipe through multiple photos and often at the end, you’re provided with a way to reach out to the business. This might work for certain businesses like clothing stores or retailers, generally. Have you ever seen a "slideshow ad"? Think of it as a combination of video ads. You can showcase multiple services when creating slideshow ads. Want to promote a certain ad from Instagram? Be sure you have a business profile or else you can’t promote ads! Be sure you have your dedicated Facebook page linked to your Instagram business account because it’ll make promoting posts as simple as clicking the ‘Promote’ button (and providing some details) below! I know, I know, this is obvious, but it is something many people don’t realize until it’s too late. Think about it this way. Instagram needs your posts in order to keep having its users engaged. When you post photos or videos that people like, Instagram will show your content to more people giving you more exposure. The more relevant is your content, the more people will see it. Be sure to keep your personal and business profiles separate. This will ensure your followers will know what to expect when you post and be interested in what you have to show them. Of course, having separate accounts for business (and pleasure) will work for some, but it’s not for everybody. Some musicians or influencers might not benefit from having separate accounts, but it’s definitely an option to consider if you want people to find out more about your business easily. For example, if you’re an artist and have a personal Instagram you post on a lot, your followers might have a hard time looking through to see all your art if they aren’t really interested about your personal life. This doesn’t mean you can’t post your art on Instagram on your personal and business profile, but rather it would make more sense to have a separate account to showcase your art to those who are interested in seeing it and not have to look through all your restaurant or vacation photos. Think you know everything now? Well, here’s one last thing you might have forgotten! If you’re still having trouble getting people to engage with your posts, let’s see what the professionals post. Look no further than Coca-Cola! Obviously, your posts will not get this level of engagement right away, but they’ll be headed in the right direction. You don’t have to post for every holiday, but it could be something as simple as this example of a post that was created on Valentine’s day. Overall, you really have to think more about your Instagram than simply ‘posting pretty pictures’ that aren’t relevant to your brand. 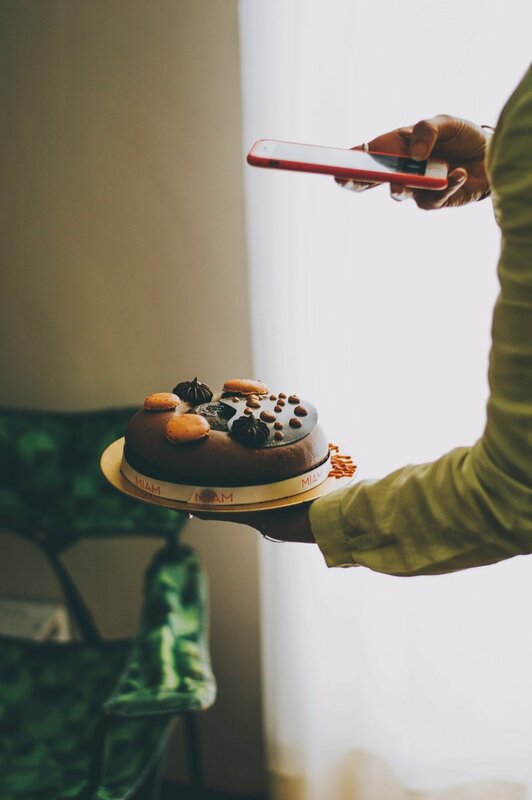 Your Instagram is the door to your life, and this means the world to your followers!